In the space of one Test, Australia’s fortunes have swung dramatically. After a convincing win in the opening Test at Durban, the tourists entered the second encounter at Port Elizabeth on a roll. That confidence was soon pricked by some explosive fast bowling from Kagiso Rabada and a brilliant century from AB de Villiers. It is now the Proteas who are riding a wave into Newlands, especially on the overturning of Rabada’s series-ending ban. Since readmission to international cricket in 1993, Cape Town has proved a happy hunting ground for South Africa – four losses in 31 Tests. However, each of those four losses have come at the hands of Australia – 1994, 2002, 2006 and the last series in 2014. Australia has lost just twice at Newlands in the post-Apartheid era – 2009 and 2011 – with the most recent of those a monumental embarrassment. After Michael Clarke made a magnificent 151 in Australia’s first innings total of 284, South Africa was shot out for 96. The tourists then slumped to a staggering 9-21 in their second innings and looked destined to break New Zealand’s record 26 for the lowest score in Test history before Peter Siddle and Nathan Lyon got them to a total of 47. South Africa ran down the target of 236 with the loss of just two wickets thanks to centuries from Graeme Smith and Hashim Amla. That Test marked the debut of Vernon Philander, whose second innings 5-15 earned him man-of-the-match. Philander was again to the fore in his side’s most recent Test at Newlands, winning another man-of-the-match accolade on the back of 3-33 and a career-best 6-42. That match against India, just two months ago, was played on a pitch that provided plenty for the pace bowlers with the game finishing on the fourth day despite day three being lost to rain – one of the few times of late the arid city has copped a drenching. The match scores were 286, 209, 130 and 135 with South Africa winning by 72 runs. The final day saw 18 wickets fall in just 64 overs. Much was made of the pitches that were rolled out for that series with the hosts aiming to craft surfaces that would suit their quicks, an area where they believed they held a distinct advantage over India. Wary of Australia’s pace armoury, the methodology has changed this series with the first two Tests played on pitches that did not offer a lot early on. Much of the damage thus far has been wrought with the old ball – Mitchell Starc at Durban and Rabada at PE. If reports coming out of Cape Town are to be believed, the pitch for the third Test will be green-tinged and provide seam movement for the quicks early on. A verdant pitch block is likely to limit the ability to scuff up the ball and potentially lessen the impact of reverse swing. The conditions, however, are unlikely to be as batsman unfriendly as the one rolled out for the India series. At the halfway point of the series no Australian batsman has made a century – Shaun Marsh’s 96 at Durban being the highest score. Conversely, Aiden Markram (143) and de Villiers (126no) have both posted centuries and, had he not run out of partners at Durban, de Villiers could well have scored two. David Warner has posted half-centuries in each of the first two Tests and looked particularly sound on the opening day at Port Elizabeth. Last time at Cape Town he reeled off innings of 135 and 145. In concert with Cam Bancroft, the pair will be crucial to Australia’s prospects if they end up batting on the first day. The duo kicked off the Port Elizabeth Test with a partnership of 98 before being broken in the last over before lunch. Disappointingly, the tourists ended up posting a modest 243, a score South Africa countered with 382. 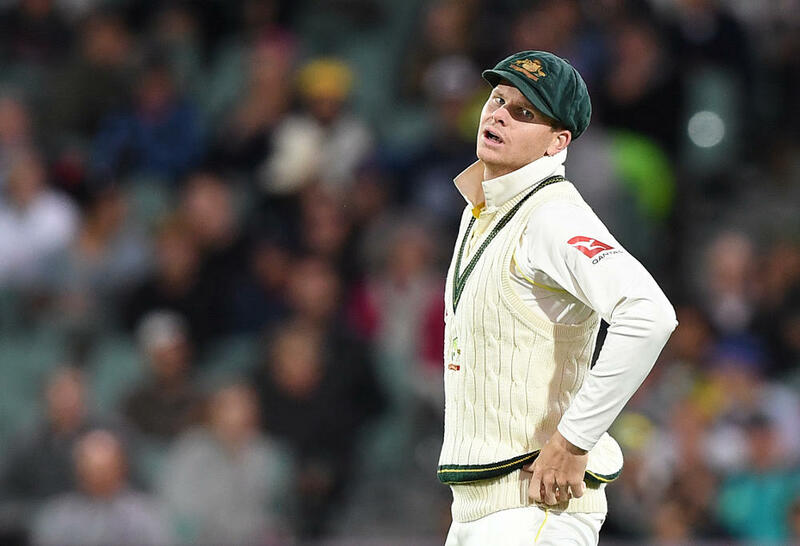 So much of Australia’s recent successes have been built around Steve Smith who, in this series, has been unable to convert starts into significant totals. He has reached 25 in three of his four innings to date but not bettered 56. His fallibility to left-arm spin has continued to be an issue. Three of his four dismissals have come that way – twice to Keshav Maharaj (who has him three times in four Tests) and Dean Elgar, whose dismissal of Smith in the first Test was just his 14th wicket in 47 matches. While Smith’s record against spin does not match the travails that Usman Khawaja has been renowned for it is an area that opposing captains will likely to continue to exploit. He averages 37.2 against left-arm finger-spin while against other varieties of bowling he averages 49 or over. If South Africa can continue to keep him under wraps. Australia’s chances are greatly diminished. Conversely, de Villiers has proven to be a massive stumbling block – 225 runs at 112.5. It appeared Australia’s bowlers lacked a genuine game plan against him during his match-defining unbeaten century at Port Elizabeth. In that Test, he was greatly aided by the dogged stand between Elgar (57 off 197 balls) and Hashim Amla (56 off 145). While they added only 43 in the middle session on the second day it blunted the Australian attack from overs 40 to 66 when the ball was reversing. Australia’s batsmen need to produce similar stands in the back half of the series when the conditions are favourable to Rabada, in particular. 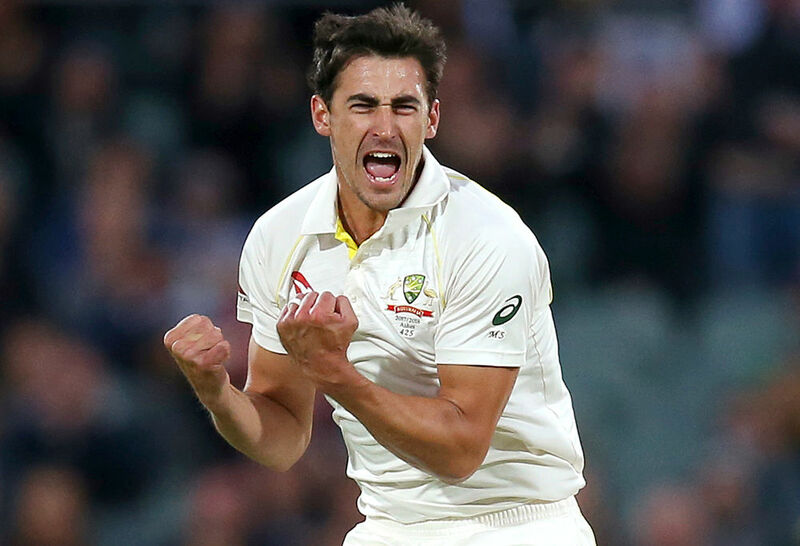 There will be a close watch on Mitchell Starc who comes into the match under nursing a calf complaint. 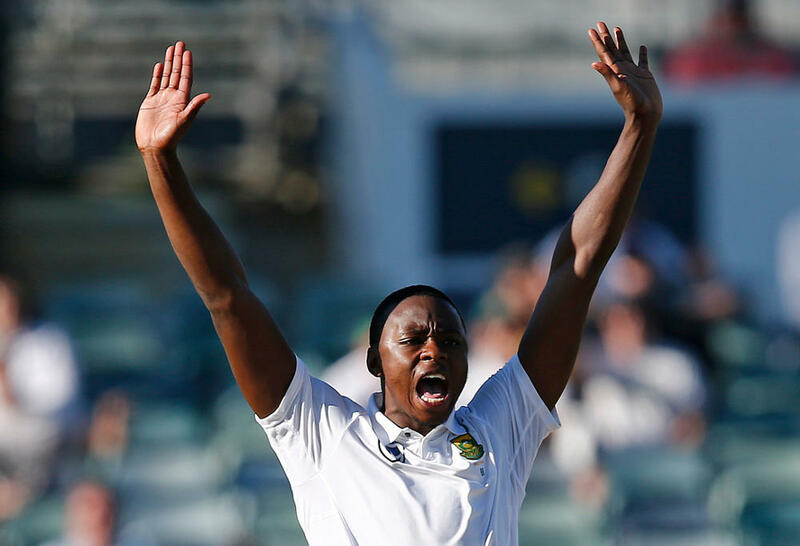 After a man-of-the-match performance in the opening Test he returned figures of 1-125 at Port Elizabeth. His precision with the old ball at Durban was one of the keys in Australia going 1-nil up. Mitch Marsh is recovering from a groin strain. While he gets limited time at the bowling crease he has struck a couple of crucial blows in this series. All in all, the third Test looms as another fascinating encounter. Whichever way it goes the series will still be live when the teams step out at Johannesburg for the final match of the series. Let us just hope that the major talking points in the last half of the series centre on on-field performances with both bat and ball. It would make a pleasant change.